Would You Like to Work as a Content Writer With Us? 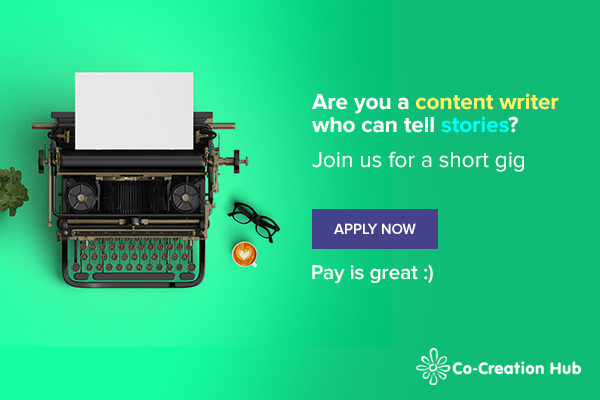 Can you tell good stories and would also like to earn whilst doing so? Join us, we’ve got a temporary gig for you. Please how do I get into cchub I wana learn alotta things there?? Hello @Nierowheezy Great! What do you do? And what would you like to learn? Oops! I am just seeing this. Please is the link still open? Hello @adeolaspeaks. Sorry, the application for this has ended. Hi I would like to come and intern and learn some stuff here. Would that be possible. Hello @Ukejee, we currently do not have any internships available. Once there are any new openings, you will be duly informed. That’s nice…Sir Komeh is also a great instructor… He taught the STEM Club classes on Figma. I would recommend you join their STEM club meetings… It holds every Wednesday by 1 pm.